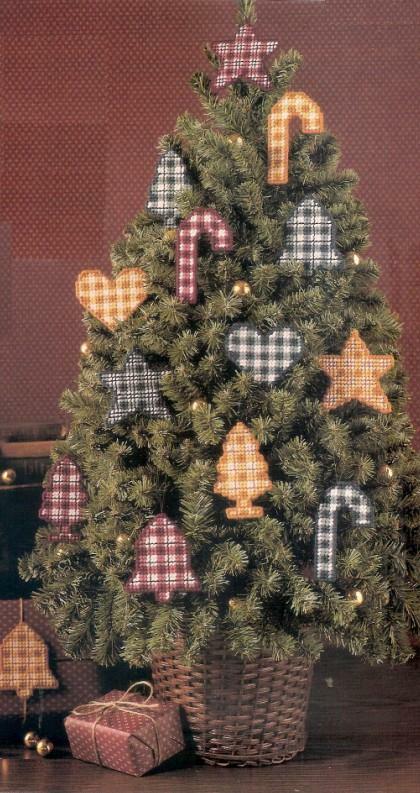 Bring a little country to your Christmas this year with our five tree trimmers in homespun plaids. 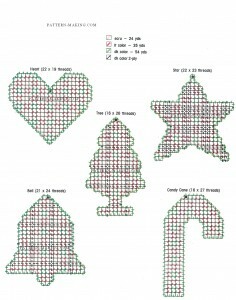 Using our quick- and-easy designs and your choice of colors, you’ll have a jolly time stitching these holiday projects. 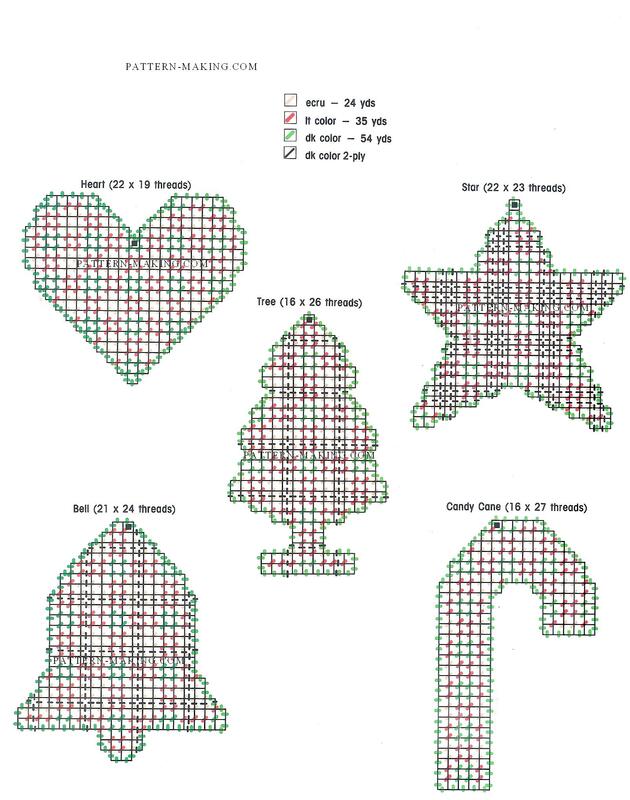 Approx Size: 2-7/8″ w x 3-3/8 “h each Supplies: Worsted weight yarn (refer to color key), one 10-5/8 ” x 13-5/8″ sheet of plastic canvas, #16 tapestry needle, nylon line, and #26 tapestry needle (for working with nylon line) Stitches Used: Backstitch, Overcast Stitch, and Tent Stitch Instructions: Follow chart and use required stitches to work ornament. For hanger, thread 8″ of nylon line through canvas at ; knot nylon line 3″ above top of ornament. Trim ends.